UVic’s co-op employers of the year for 2018 are Babcock Canada, ImmunoPrecise Antibodies and LlamaZOO. Education grad student Mike Irvine presented his master's project underwater and started the Fish Eye Project, an organization that brings marine research to classrooms and the world through interactive livestream shows. For Brina Martens, pursuing a commerce degree involved building her own socially responsible, international business—and working with women in Uganda as they sought to start up a community-based enterprise of their own. 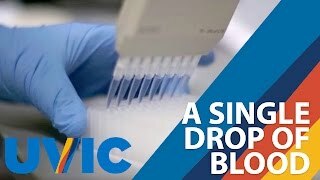 UVic chemist Alexandre Brolo is using nanotechnology to create low-cost test strips that detect the presence of Zika in saliva, in addition to creating a smartphone camera app to to detect and geotag mosquito larvae in stagnated water. Passengers on BC Ferries are helping scientists better understand ocean health and declining salmon populations in the Salish Sea, collecting images of the sea that will be connected to sensing data about the surrounding waters. FaceMaze, a game app developed by psychologist Jim Tanaka and the UVic Centre for Autism Research Technology and Education, is giving children with autism a fun new way to hone their social skills. 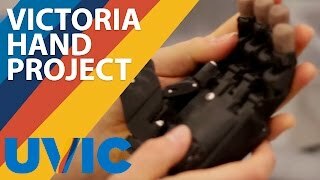 Students and researchers from the University of Victoria are driving change around the world, powered by the UVic Edge—that unique combination of dynamic learning and vital impact embedded in our extraordinary learning environment. Partner with us on solutions to the issues that matter to people, places and the planet. Partnerships play a key role in generating vital impact, from scientific and business breakthroughs to achievements in culture and creativity. Our researchers publish a higher proportion of research based on international collaboration than any other Canadian university. 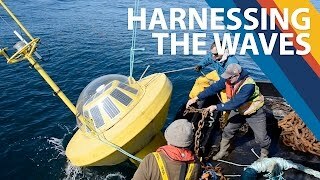 And our work with business and community partners—at home in Canada and in communities around the globe—has helped make UVic a leader in a wide range of fields, including Indigenous languages and law, clean energy, earth and oceans, climate change, high-energy physics and health. One in three UVic students participates in co-operative education, alternating academic terms with paid work in relevant areas, and building careers and hands-on experience through one of Canada’s largest (and longest-running) co-op programs. UVic fosters entrepreneurship and commercialization support across the academic spectrum—which means our faculty or graduates could be the most important business partner you'll ever meet. Creativity and innovation come naturally here on the edge. Read more in our Annual Review. 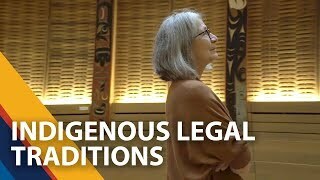 Charlotte Loppie is a professor in UVic’s School of Public Health and Social Policy, and director of the Centre for Indigenous Research and Community-Led Engagement. Loppie’s work focuses primarily on Indigenous health inequities, Indigenous HIV/AIDS and the social determinants of Indigenous health. She’s committed to patient-oriented research, a way of thinking about and conducting research as something that is done by, for and with the people with lived experience who are the focus of the research. See more videos from the Partner with us playlist on YouTube.